Each behavioral consultation and individual training starts with a first contact (duration approx. 90-120 minutes). The interview serves to analyze your current situation and provides the basis for further action in practice. 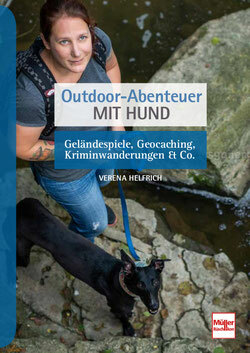 Through the initial conversation, Verena Helfrich can get the most accurate picture of you and your dog. You will be asked many questions about the coexistence with your dog, your everyday life and of course the unwanted behavior of your four-legged friend. In doing so, Verena Helfrich can explain connections to you and define goals together with you. The initial interview is the basis for training or behavioral therapy and the basis for developing the right training concept for you. One-to-one training is a great way to work intensively on educational difficulties. One-on-one training is not only appropriate for topics such as hunting, aggressive or anxious behavior, but also for everyday problems such as pulling on the leash, excessive barking or recall problems. At the beginning of a one-to-one training there is always a detailed first contact (see below) in which training contents and goals are addressed. A behavioral disorder is only referred to when there is a "short-term or permanent clear deviation from the normal species-specific behavior" (Gattermann). Causes of behavioral disorders are manifold: changes in the genetic material, various disorders during the individual development, diseases or inappropriate environmental conditions, eg. in the rearing of the puppy. Severe behavioral problems are relatively rare in dogs. For such dogs, a behavioral counseling and behavioral therapy comes into question. Here is a careful and comprehensive diagnosis in the foreground. In the area of behavioral counseling and therapy Verena Helfrich works together with veterinarians, animal healers and specialized experts in the field of dog training. At the beginning of a behavioral consultation / therapy there is always a detailed initial consultation - first contact (see below). You have a longer journey, are on holiday in the Greater Region of Luxembourg / Trier and / or would like to progress faster with a compact and effective individual training? Then the intensive training is the right offer for you. The training, which otherwise takes place over a longer period of time, is concentrated here and is still practicable and effective. As usual, an in-depth first interview will begin, followed by training or behavioral counseling / therapy. Please contact me for an individual program by email. The introductory appointment provides a suitable setting for a brief assessment of whether you & your dog meet the requirements for participation in the offer you have selected or whether it makes sense to first take individual training. Introductory dates usually take place in L-6660 Born. The appointments take about 30 minutes and will be charged with 20,00 Euro. Attention: The lessons are booked and settled individually (except for courses). You therefore have no obligation to book a certain number of hours and can customize the training. For further minutes as well as travel expenses apply the above mentioned conditions. The offer is valid from 07.01.2019 until provisionally 20.03.2019. In addition to the pure training time comes a break of 30-60 minutes per day (depending on the human-dog team), which is not calculated. * For multi-day workouts, the training days do not have to be consecutive, but must be within 8 weeks. The calculation is based on time, for a consultation à 60-90 minutes will be charged 40.00 euros. For every additional 15 minutes 10,00 Euro will be charged. Costs depending on the offer, details can be found in the respective tender. You are interested in this offer? Then contact us by e-mail or use the contact form below. You are interested in this offer?